Like most people you are paying close attention to your budget. We are living in challenging economic times. Therefore, if you are looking at Boston apartments to rent, you certainly are paying attention to the amount of money these different apartment homes cost to lease. You truly need to make sure that your budget goes as far as possible, that you get the biggest bang for your buck during these difficult economic times. is to make a specific budget before you head out and start looking at different Boston apartments. The worst thing that an apartment hunter can do is begin the process of shopping around for Boston apartments without a set budget in place. In the absence of a budget in advance of looking for an apartment more than a few people have ended up paying far more than they ever intended on their apartment homes. The second step that you will want to consider taking when it comes to looking for the most affordable Boston apartments to meet your needs is to engage the services of a real estate professional. With the help to a real estate you not only will be able to identify affordable Boston apartments quickly but you will be able to access options that you might not otherwise even know about in the absence of professional guidance and assistance. The third step to pursue when looking to get the most out of your money in your search for Boston apartments is to take advantage of promotional offers. The Boston real estate market has a notable number of available apartment units. Therefore, in order to competitive and to work to fill properties, many apartment buildings and complexes are offering special deals to individuals seeking a new apartment home. For example, some complexes and buildings are offering a period of free rent or no broker fee. Others are offer a waiver of security deposits. In any event, there are a variety of Boston apartments that are offering special deals to encourage people to move in. You can, in some instances, save some decent money by taking advantage of these deals. The fourth step to follow in seeking Boston apartments is to make sure you allocate plenty of time to really be able to get out and check out what is available to you in the marketplace today. You really cannot make wise decisions when shopping for Boston apartments when you are pressed for time. By being able to make a thoughtful and meaningful search for the best apartment home, you really will be able to find an ideal property. You will be able to find the perfect place to call home. Moreover, you will not find yourself needlessly throwing unnecessary money about to rent property. People who are pressed for time oftentimes end up spending more than they should on an apartment when they are scrambling to move at the 11th hour. 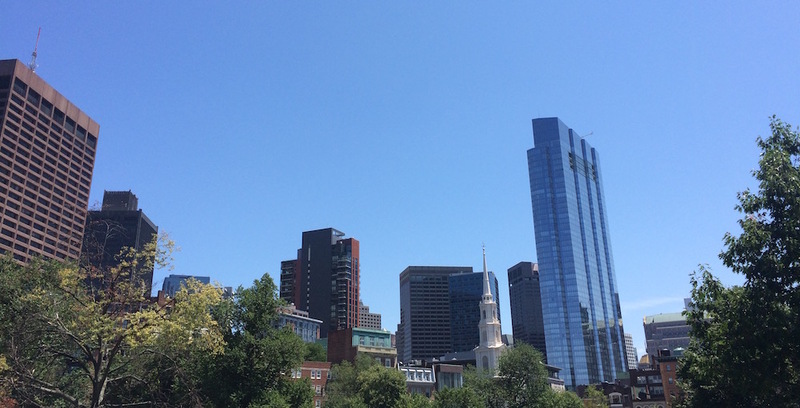 Will Boston Rents Increase as Rental Property Vacancies Fall?